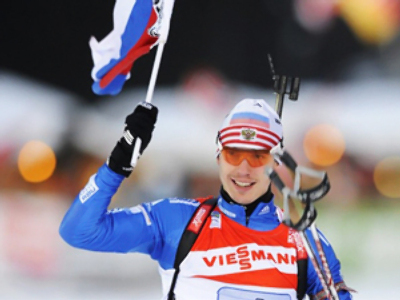 Russia has won the women’s relay in Germany’s biathlon mecca Oberhof, leaving the hosts just three tenths of a second behind. 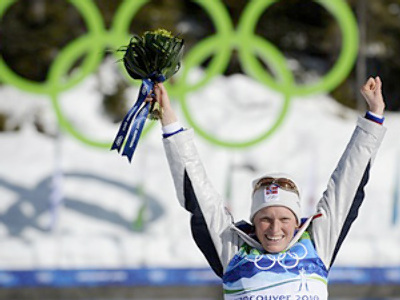 Recently promoted to the first squad, Anna Bogaly-Titovets went all out to gain leadership for Russia, but three misses at the first shooting put a halt to her enthusiasm. She made some necessary improvements during the second shooting, however, and managed to cut the deficit to France to some twenty seconds. 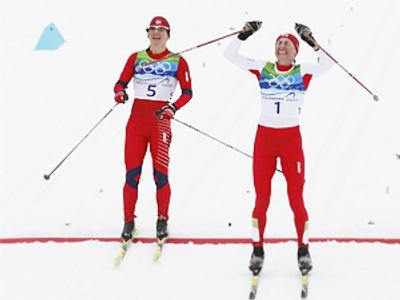 Anna Bulygina and Olga Medvedtseva, responsible for second and third stages respectively, were almost perfect both in shooting and running. 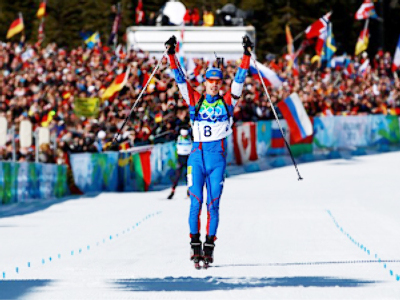 Bulygina gained the lead for Russia, while Medvedtseva increased it to forty seconds. At that point, Germany began tailing Russia. The only thing Svetlana Sleptsova didn’t need was waste the advantage, which she almost did. 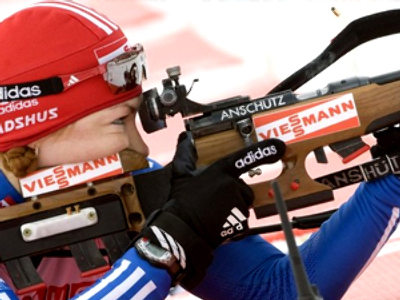 Despite her shooting skills, she was not that as powerful on skis as her German opponent Andrea Henkel. 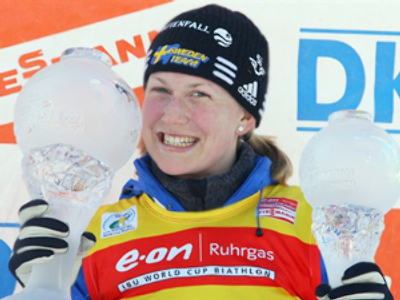 The experienced German approached Sleptsova some few hundred meters before the finish and was close to taking the lead, but ultimately failed to overcome the Russian, trailing by just 0.3 seconds. France came third, one minute behind the winner.